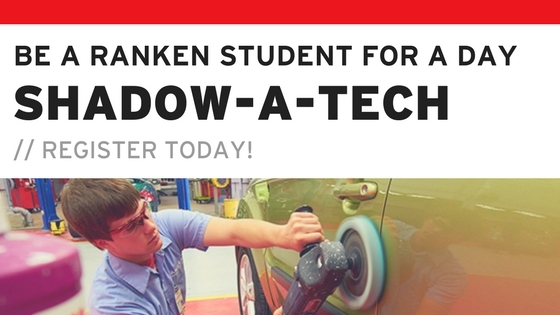 Ranken Technical College would like to invite you to experience the superior hands-on training of our technical programs by participating in our Shadow-a-Tech program. You can spend the day on campus, attend class with a Ranken student, tour the campus, and learn about the admissions process. Space is limited – register today!